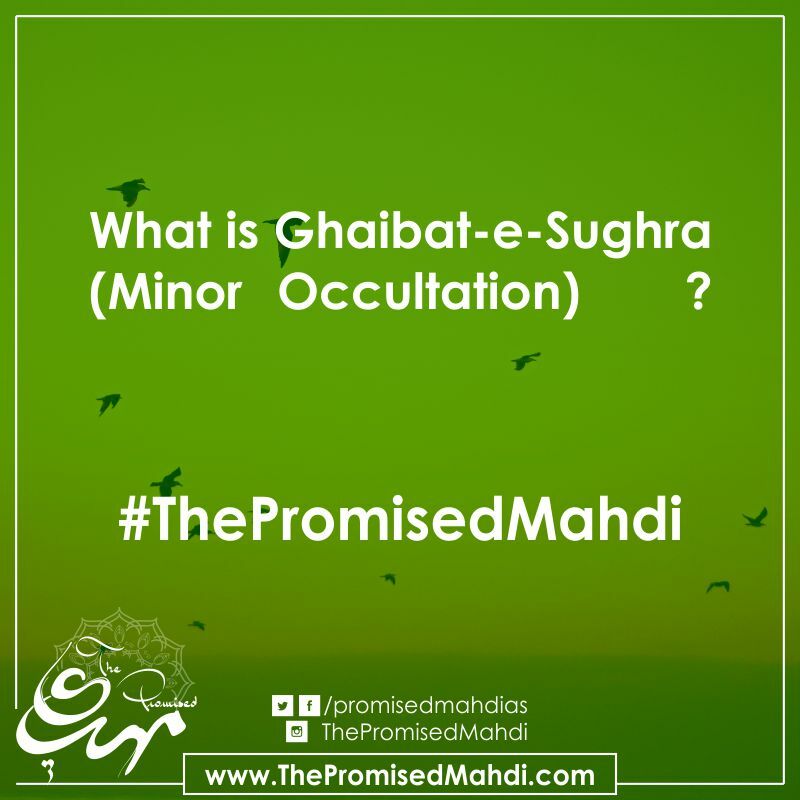 In this post we will look at Minor Occultation and Insha-Allah in the next post we will see about major occulation. The oppressive Abbasid caliphs tried very much to arrest His Eminence, Imam Mahdi (a.s) and put him to death. Therefore the Almighty Allah bestowed a great favor and mercy on His Eminence, the Awaited Imam and kept him away from the eyes of the Abbasids, just like He had concealed the great-grandfather, the Prophet of Islam (a.s) from the view of the Quraish who had gathered to assassinate him and the Holy Prophet (a.s) came out from among them and they did not see him. In the same way His Eminence, Imam Mahdi (a.s) was among Abbasides but they were not able to see him. In the forthcoming discussion we would present some details about the period of the Minor Occultation. The period of minor occultation commenced from the time of the martyrdom of Imam Hasan Askari (a.s) in 260 A.H. After the passing away of his respected father, His Eminence disappeared from the view of people and only some believers, righteous persons and trustworthy gentlemen met His Eminence. His Eminence disappeared in his house in Samarrah where the holy graves of holy grandfather, His Eminence, Imam Ali al-Hadi (a.s) and his father, His Eminence, Imam Hasan Askari (a.s) are situated. His Eminence, Imam Mahdi (a.s) appointed some prominent scholars and worthy people as his representatives so that they may act as medium between the Imam and the Shias. Their function was to convey the problems and queries of the Shias to His Eminence and seek their solution from His Eminence.